Musco Center for the Arts at Chapman University presents TAO: DRUM HEART on April 29 at 4:00 pm. Since 1993, Japanese drum and dance ensemble DRUM TAO has combined music and dance to reflect Japanese tradition while incorporating other Asian cultural influences. 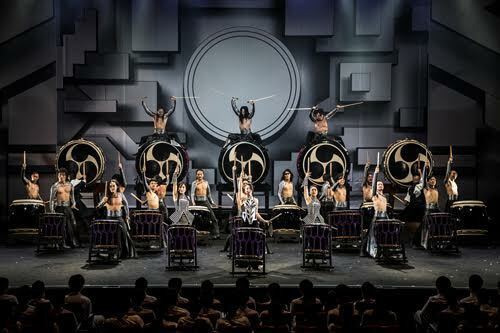 Breaking past the traditional notions of taiko, TAO continues to create an entirely new art form that is modern yet retains a sense of tradition. Tickets for April 29 are on sale now for $30-$50 and may be purchased through the Musco Center online at www.muscocenter.org or by calling the box office at 844-OC-MUSCO (844-626-8726). All print-at-home tickets include a no-cost parking pass. Musco Center for the Arts is located on the campus of Chapman University at 415 North Glassell, Orange, Calif.
Credit: Musco Center for the Arts at Chapman University.